SAS Creative: New mouse to the collection! 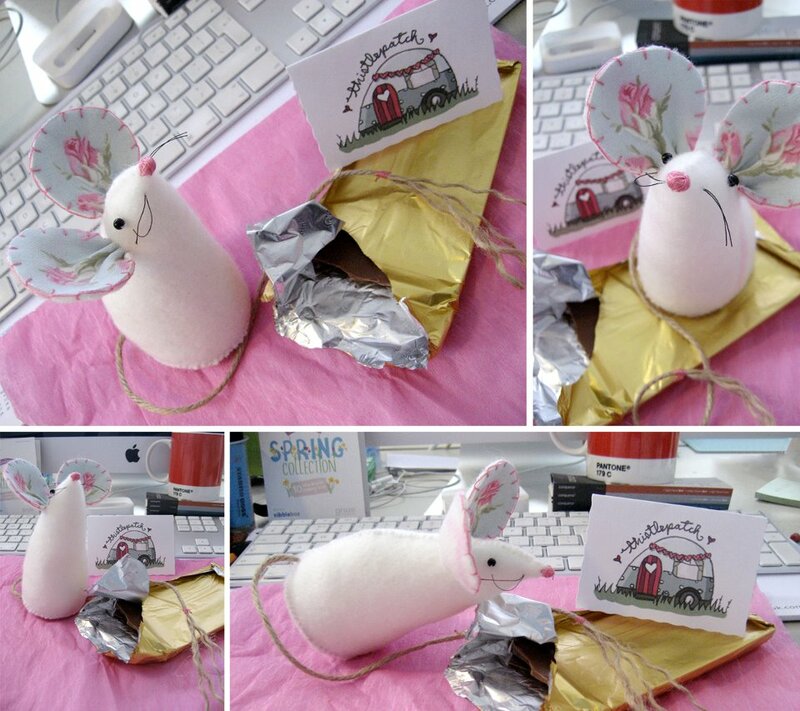 Had to share a photo of this super cute little mouse I bought from the lovely ThistlePatch, Nadine makes all sorts of crafts, but the best are her little mice!... Meet 'Louise'... she has become my photography assistant, and loves eating chocolate!